"I exchanged glances with my Iraqi medical colleague and it was immediately clear that we were both thinking the same thing. Four months! How could it be possible that this poor child has been like this for four months?" 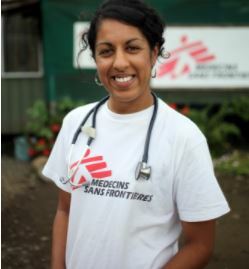 Nina Rajani, a doctor from London, has just returned from Iraq. On this week's episode of our Everyday Emergency podcast, Nina explains what it took to treat people caught in a vicious cycle of violent conflict and poor health. Listen below or download the episode via your favourite podcast provider. Nina's job in Iraq was to care for people fleeing the embattled town of Hawijah, one of the last two strongholds of ISIS, or the so-called Islamic State. Tens of thousands of people are still trapped in the town. Many of those lucky enough to escape make a 40-mile journey on foot to Kirkuk, the nearest city. The journey is fraught with danger; according to our patients, snipers keep watch on the outskirts of the town, and the road to Kirkuk is peppered with landmines. 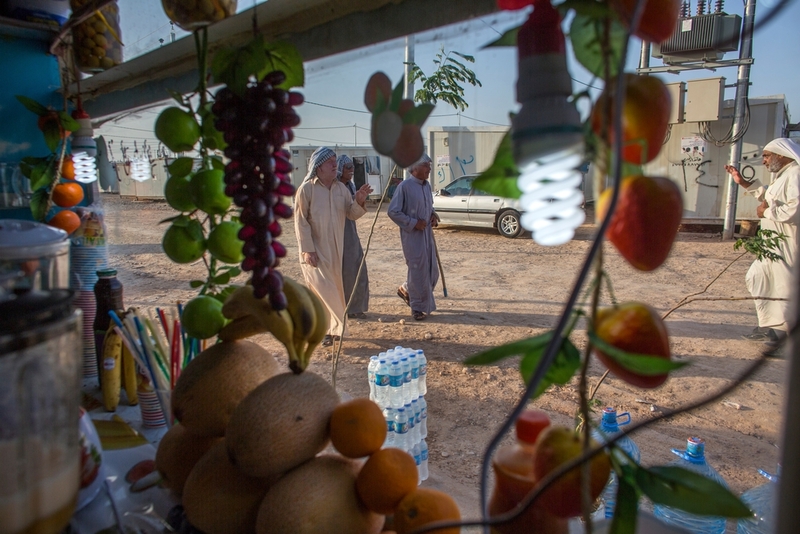 In Kirkuk, Nina worked with an MSF team in a camp sheltering those who had made it from Hawijah. While there, Nina and the team recognised that the greatest health threats her patients faced were not necessarily bomb blasts or bullet wounds, but chronic conditions made worse by the conflict. "The bulk of the cases we dealt with were not that different from the kind of patient I might come across in my East London general practice," says Nina. Non-communicable diseases, or NCDs, are non-infectious medical conditions that last for long periods of time and progress slowly. The four main types of NCD’s are cardiovascular diseases – like heart attacks and stroke – cancer, chronic respiratory diseases – such as asthma – and diabetes. They are the leading cause of death in the world, accounting for 70 percent of all annual deaths. Eighty percent are in low-to-middle income countries like Iraq. "We had people coming to us every day asking, 'Have you got this? Have you got that blood pressure tablet?' It was so satisying to eventually be ale to give them the medication that they really needed." In humanitarian emergencies, especially where people are on the move, those with chronic conditions often aren't able to get the medicine and healthcare they would during more stable times back home. After a survey was carried out in the Kirkuk camp, Nina and the team recognised that more needed to be done for patients with NCDs. Taking the lead from another MSF project nearby in Kanahqin, the team drew up a plan to open a clinic for chronic conditions in the camp. "It was even more successful than I could have imagined," says Nina. "We had people coming to us every day asking, 'Have you got this? Have you got that blood pressure tablet?' And up until we were able to get our programme running, we had to turn them away, which was really difficult. "But it was so satisfying to eventually be able to give them the medication that they really needed and we had some really happy and very grateful people. That was really nice to see."